Celtic Splendor - 2013-337, originally uploaded by Judi FitzPatrick Studio. 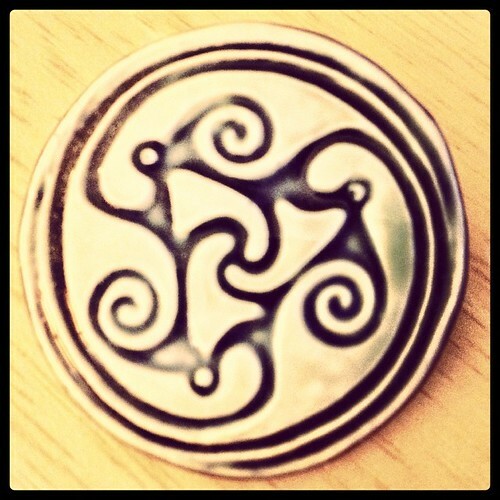 A handmade porcelain brooch my DD2 brought me from Ireland many years ago. It is one of my treasures. This looked so much better on the iPhone, but it's almost bedtime so I'm stuck with it for today's POD.